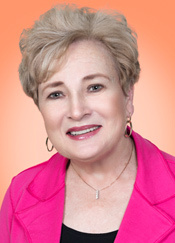 Betty White has been Head of School for Sacred Hearts Academy since 1990. She began her career as a history teacher in 1971 and now leads Hawaii's largest all-girls school. She has mentored more than 5,000 girls, and under her leadership Sacred Hearts has maintained its commitment to an all-girls education despite economic pressures. Betty is the first representative from Hawai'i to serve as a trustee on the National Coalition of Girls' Schools, and she also serves on the board of the Hawaii Association of Independent Schools.